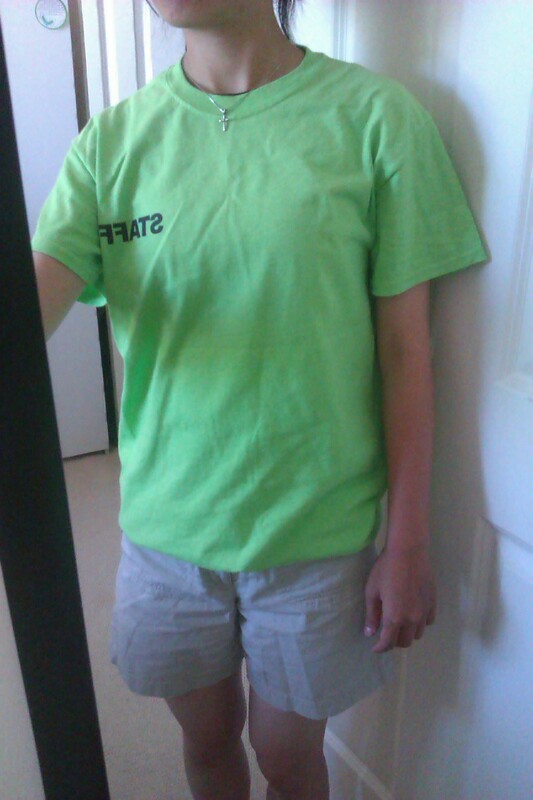 While working at summer camp, I find myself constantly tucking the bottom of my t-shirt into my pocket, or folding the hem up on the inside, because it’s just too long… So here’s a great way to shorten a t-shirt, without raw edges, and without sewing (useful when you don’t have matching thread on hand!). 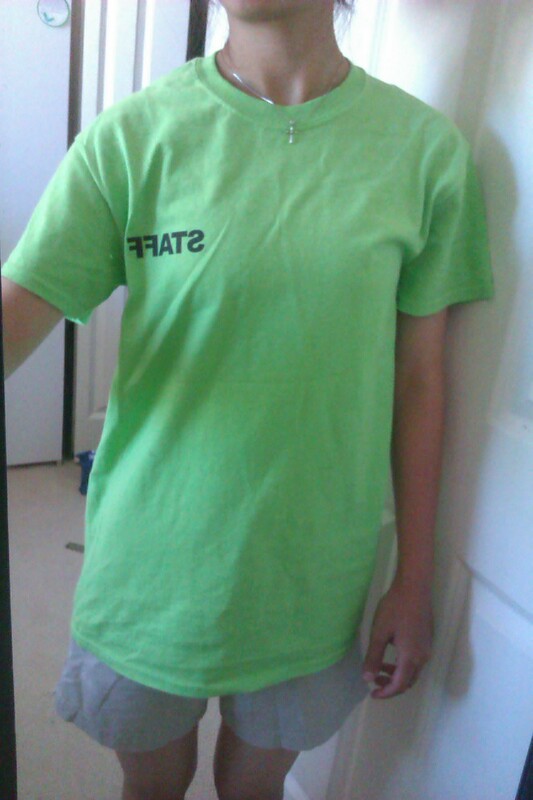 A simple way to shorten a t-shirt in 5 minutes! 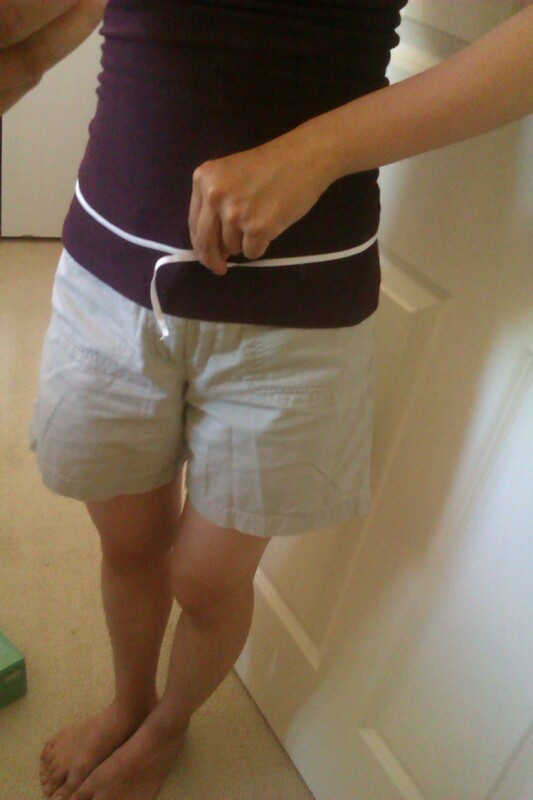 Measure out how much elastic band you need, by wrapping the elastic band around your hips (or where you want the bottom of the t-shirt to sit) snugly but without stretching. 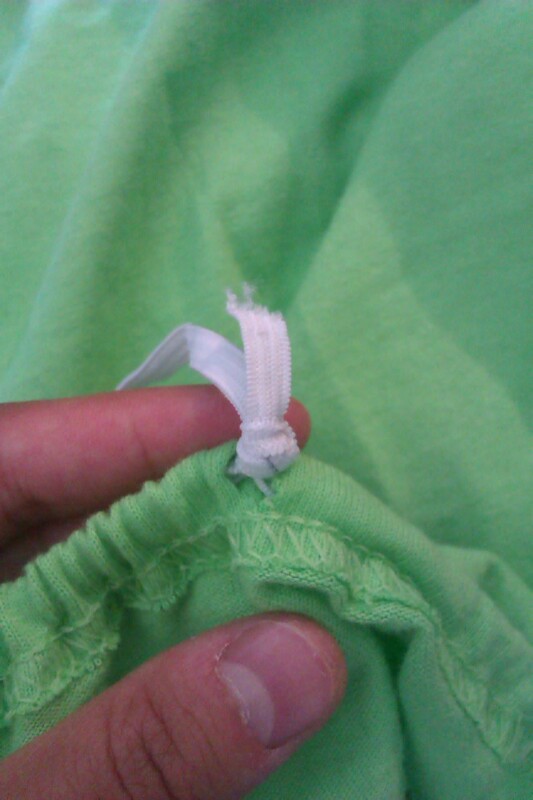 The hem of the t-shirt already forms a natural casing for the elastic band. 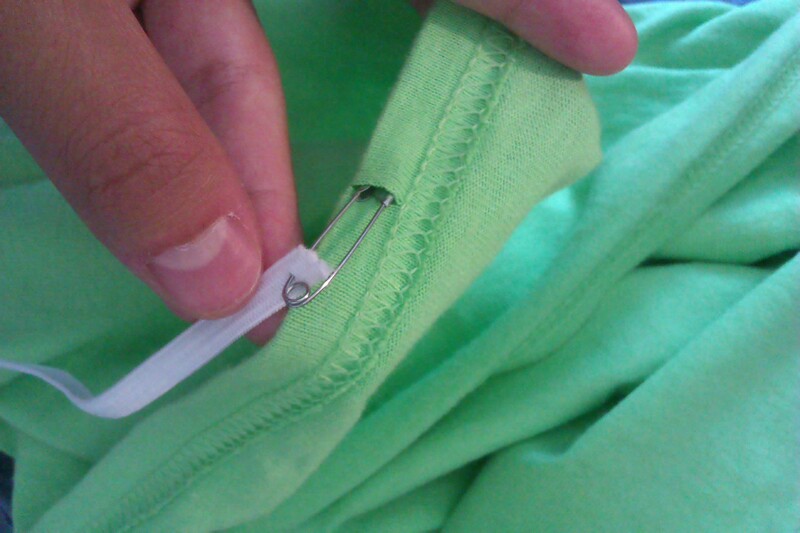 So simply cut a small hole in the hem (on the side facing inside the t-shirt), and use the safety pin to help thread the elastic band into the casing.